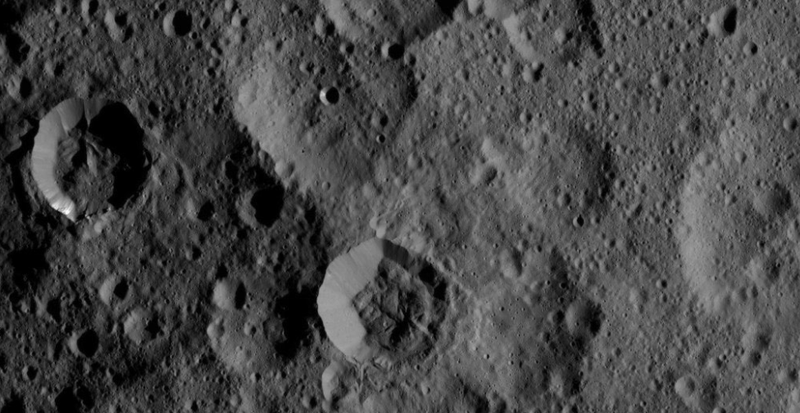 Swooping by at a unique angle, NASA’s Dawn space probe recently captured some of the clearest views yet of dwarf planet Ceres, including Occator Crater and its intriguing bright surface features. 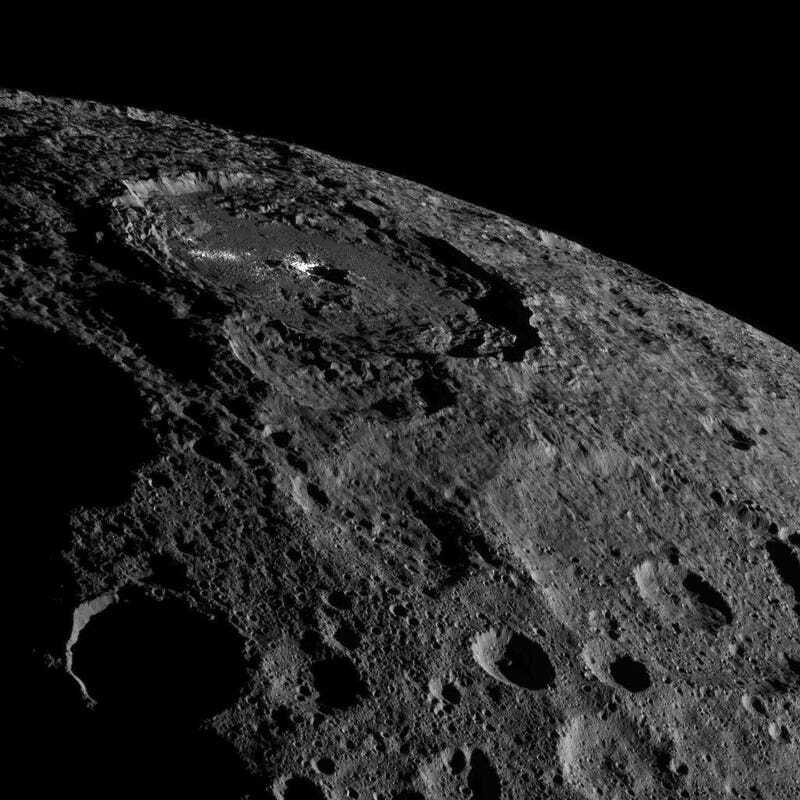 Dawn’s latest orbit, its fifth since arriving at Ceres in the spring of 2015, took it to within 920 miles (1,480 km) of the dwarf planet, and at an angle where the sun’s position was different than during previous orbits. 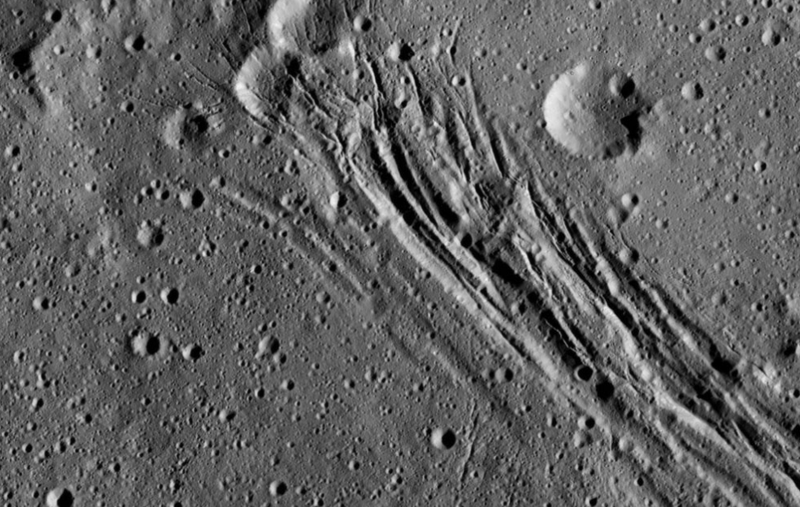 The new images are offering fresh perspectives of this remarkable object and the strange geology responsible for its distinct surface features. 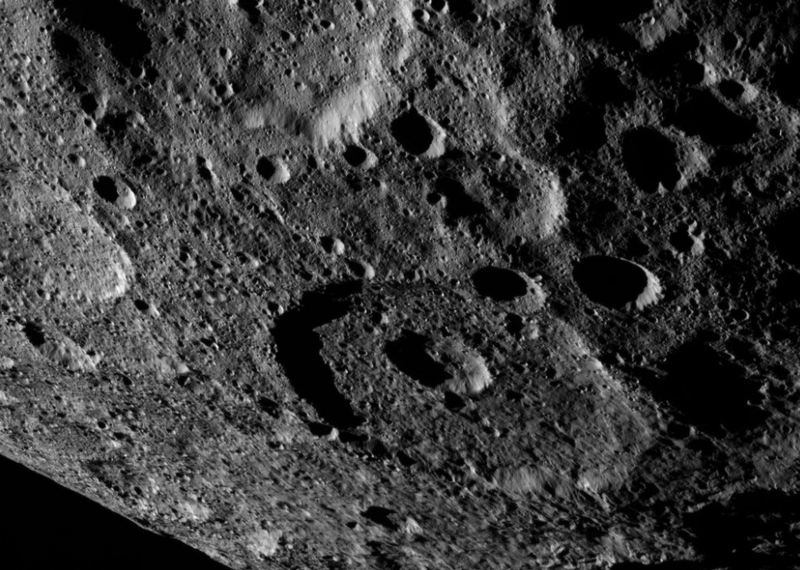 One of the brightest areas on Ceres can be found within Occator Crater, a hole measuring 57 miles (92 km) wide and 2.5 miles (4 km) deep. 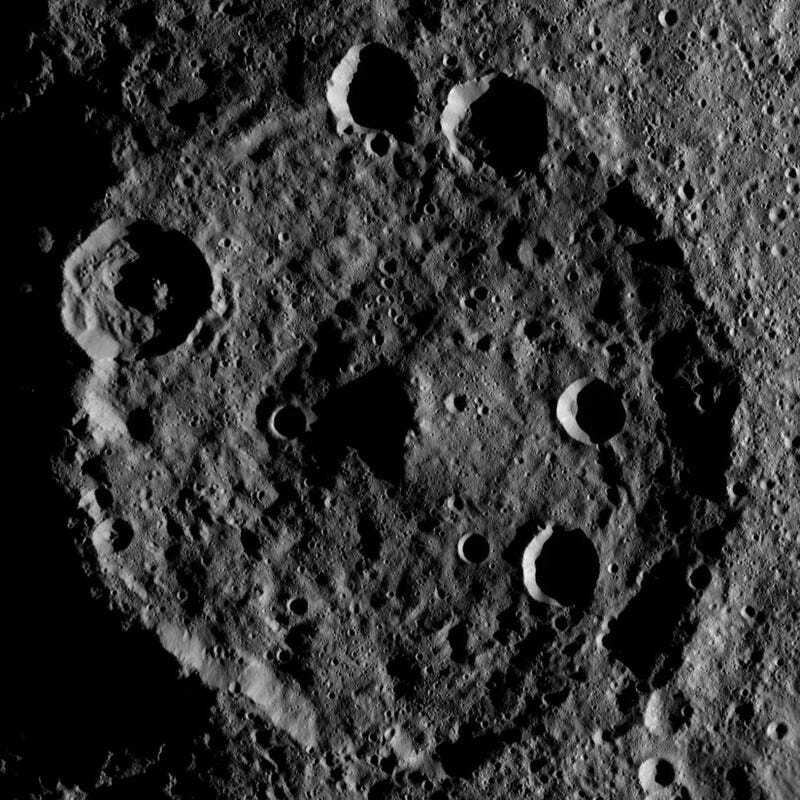 Astronomers believe that the bright material at the center of this crater is made up of saltsleft behind after briny liquid seeped up from below, froze, and then sublimated, meaning it turned directly from solid ice into vapor. An asteroid impact likely triggered the upwelling of the salty liquid. 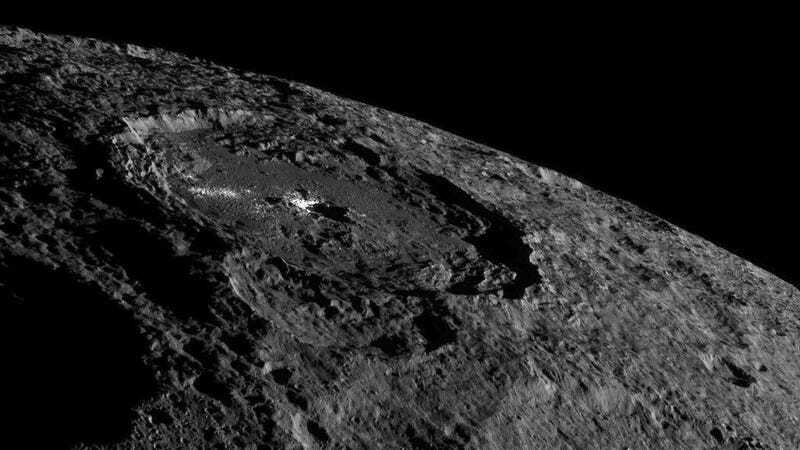 During the month of October, Dawn snapped thousands of images of Ceres at its 920-mile orbit, many of which can be seen in this new NASA gallery. NASA scientists also released a colorized photo showing what the dwarf planet would actually look like to the human eye. 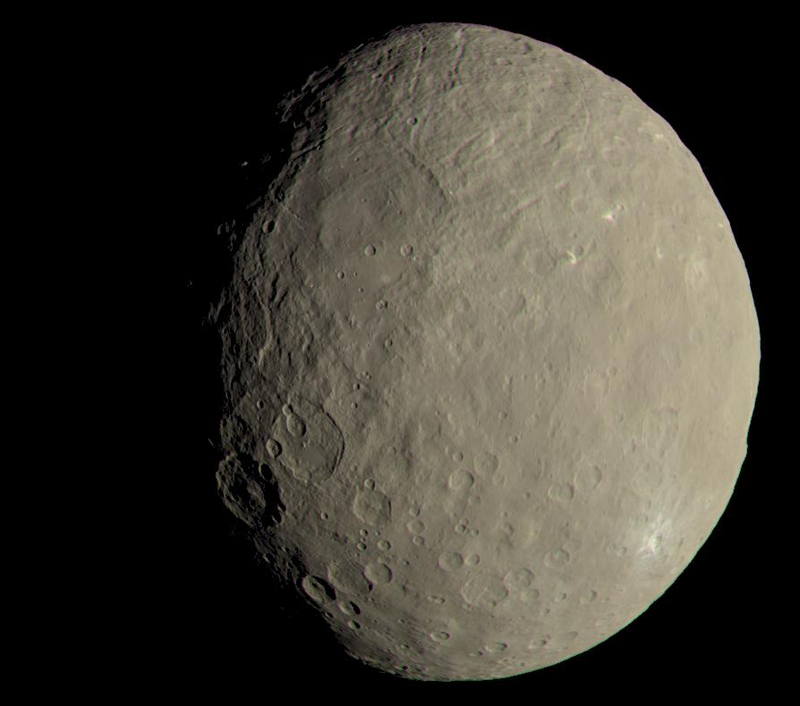 With help from the German Aerospace Center in Berlin, the Dawn team took images from the probe’s initial orbit in 2015, and then calculated the way Ceres reflects different wavelengths of light. It’s not a true color image, but it’s pretty darned close. 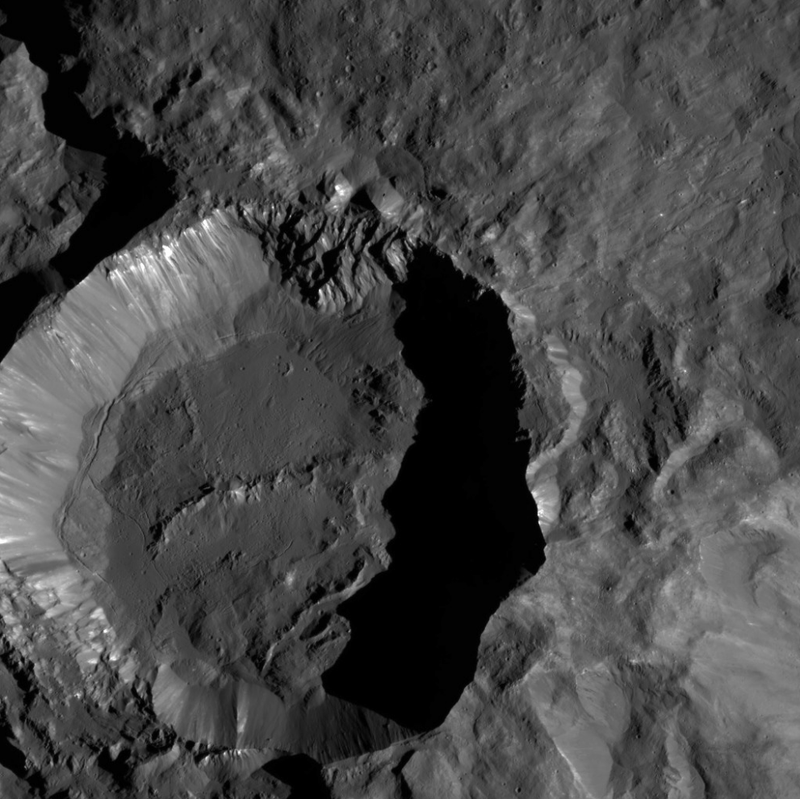 From here, Dawn will proceed into its sixth orbit of Ceres, attaining an altitude of over 4,500 miles (7,200 km). During this phase, the probe will refine previously collected measurements, particularly those of the surface. Next Next post: Did NASA Mars Rover Find a Signature of Past Life?